Am I the only one over here dreaming about fall? I absolutely love fall and yes I am the one over here already raiding the isles at Hobby Lobby trying to get some inspiration to decorate my house. I love the beautiful fall colors and go ahead and give me all the pumpkin spice! This beautiful fall wedding inspiration from the Life and Craft workshop is everything fall wedding dreams are made of. 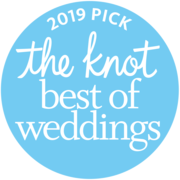 Birds of a Feather is the most amazing wedding planner and I am so honored to have had the opportunity to work with her last year. Here is a little fall wedding inspiration that will knock your socks off!